It is imperative that our organization's measure of success is not just defined by monetary gain, but is also accountable for its environmental, and social performance. 1.) People: BYO Bowls understands it has a responsibility to its employees, all stakeholders involved, and to the wider communities in which it resides. BYO Bowls seeks to promote the interests of all involved and most times it has nothing to do with monetary exchanges. It’s more about how BYO Bowls effects the lives of the surrounding community, the guests that patronize us as well as team members. 2.) Planet: it is good business to commit to sustainable environmental practices as much as possible. We will not be 100%; however, we strive to continue to move in that trajectory as our long term goal. 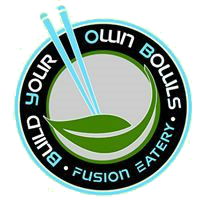 BYO Bowls will reduce its environmental footprints by reducing / recycling waste, conserving energy through mindful Architectural design, and participating in environmentally safe manufacturing processes when possible. 3.) Profit: making money is essential to BYO Bowls' success and its business model. Mechanics are designed specifically to enhance both top line and bottom line performance. Every aspect of design and engineering will maximize efficiency while promoting each aspect of our mission and corporate culture. The result will be a culmination of decades of successful industry experience from the founders and their seasoned veteran development team.